If you are looking for a new luxury spa, bathtub, or Jacuzzi pillow that is firm, washable and water-resistant then look no further! This pillow makes for a great gift, or gifts for women, mothers, girlfriends whether it's for Mothers Day, Christmas, Valentines Day! If our pillow doesn't help you relax, our GUARANTEE will! If you don't love it, just let us know and we will return your money. Simply contact us for a full lifetime guarantee. No questions asked. Experience spa-like relaxation and serenity now by Clicking The Add To Cart Button Now! ✮ ERGONOMICALLY COUNTOURED For a luxury spa experience! Create spa quality relaxation in the comfort of your own home. Made with the highest quality material, the cloud bath and spa pillow was designed for your bathtub, spa or Jacuzzi. This pillow makes for a great gift, or gifts for women, mothers, girlfriends whether it's for Mothers Day, Christmas, Valentines Day, or even a birthday. ✮ EASY TO CLEAN AND PERFECTLY COMPACT for convenience and portability. 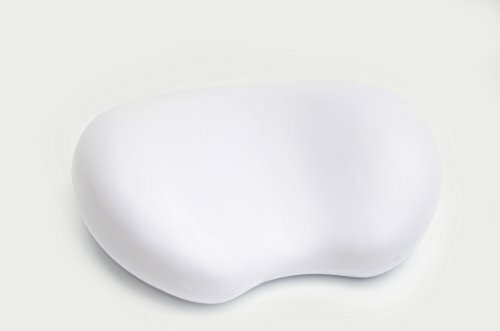 Use the cloud bath pillow anywhere and anytime you want to relax. Perfect for travel with easy to use suction cups, made with a waterproof and washable lightweight material designed to be firm with a curved surface. ✮ #1 PREMIUM QUALITY BATH PILLOW for ultimate luxury and style. De-stress from a rough day at work or relax your muscles from a hard workout. Firm enough to act as a headrest, and soft enough for maximum comfort, all while supporting your back and neck so you can relax. If you have any questions about this product by De La Mar, contact us by completing and submitting the form below. If you are looking for a specif part number, please include it with your message.